2005.010.1 Lost Cabin Mine, near Cape Horn, B.C. 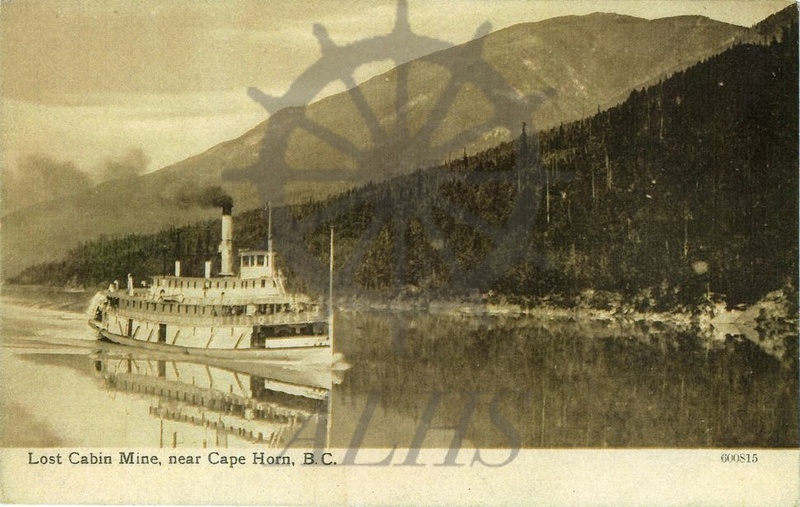 Postcard of SS Rossland on Lower Arrow Lake at Cape Horn near Hutchison Creek, ca. 1900-1916. Photo by W.E. Mullen, Arrowhead.